Rosie Clinches Farmers Insurance Title! Rosie Clinches Farmers Insurance Title! Rosie Clinches Farmers Insurance Title! 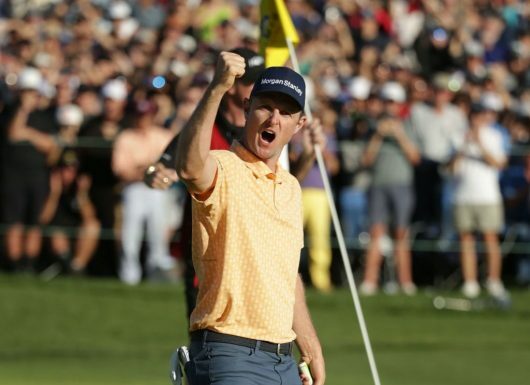 World number one, Justin Rose (pictured), held off a pack of challengers to win the 2019 Farmers Insurance Open with a total score of 21-under par. The Englishman, now with Japan’s Honma, finished with a total score of 267 for a two-shot victory. With this win, Rose has won for the 10th consecutive year worldwide, including his gold medal at the 2016 Olympics, and expanded his lead at No. 1 in the world. His 10th victory on the PGA Tour gave him the most of English players, breaking a tie with Nick Faldo. Australian Adam Scott was second, two strokes back at 19-under par. Japan’s Hideki Matsuyama closed with a 67 and tied for third with 16-under par.